Offering expertise across a broad range of corporate and commercial activities, we are able to assist South Australian businesses during their full life cycle - from incorporation or acquisition, general trading and finally to sale, takeover or family succession. With fast turn-around times on incorporations and trust formations our Commercial team will provide you with all of the documentation required to set up your own company or trust using our on-line resource. This service is available to individuals as well as accounting practices and financial advisors seeking to assist their own clients. O'Loughlins Lawyers has earned a reputation as a market leader in equity capital markets transactions. We are consistently ranked as a leading firm in the number of initial public offerings (IPOs) and stock exchange listings undertaken. O’Loughlins Lawyers boasts a highly respected Litigation Group, with knowledge gained from many years of involvement in all forms of litigation. Our focus is on trying to secure the most commercial and cost effective outcome for each client. We understand the value to you of resolving disputes without the stress, high costs and lengthy delays asociated with the court process. Lack of funds and insufficient cashflow are the biggest problems facing business owners today. Our Insolvency and Reconstruction Group can give you expert legal advice on all aspects of insolvency, administration and reconstruction to help you understand your options. We have considerable experience acting for trustees in bankruptcy, administrators and liquidators, company directors, creditors and debtors in relation to insolvency matters and have acted in relation to some of the largest and most complex corporate insolvencies in South Australia. Our Property Group provides a comprehensive range of property related legal services for developers, investors, landlords, tenants, property funds and the State Government. Our Workplace and Insurance Group advises employers, directors and executives on all aspects of the employment relationship, industrial relations, workers compensation, Work Health and Safety and insurance matters. We provide clients with practical and cost-effective advice and risk management tools to manage their most important asset - their people. O'Loughlins Lawyers is the pre-eminent Health, Aged Care and Retirement Living practice in South Australia and in the top 5 in Australia. Peter Myhill, Alf Macolino and Rebecca Barr have been honoured by their fellow lawyers who practice in this area by being named in Best Lawyers in Australia in 2012-2016 for Retirement Villages and Seniors Living Law. Rebecca received the further accolade of being named South Australian Retirement Villages and Seniors Living Lawyer of the Year for 2013. Alf received that accolade in 2015. Our Succession Planning Group offers practical, innovative expertise in succession planning for you and your family business. We will assist you in considering the critical issues that affect you and your family, and to develop a customised plan that solves those issues – including preparing your wills and other associated documents necessary to ensure that you, your business and your assets are well looked after. Our Deceased Estates Group is experienced in assisting executors, administrators and beneficiaries to prepare a range of probate documentation and applications, administering deceased estates, advising potential claimants or executors on their entitlements and options in contesting an estate or responding to a claim and providing practical guidance for all matters falling in between. We tailor our level of service to you, attending to the full range of administration, or simply advising and preparing documentation as required. For a number of years he has been assisting Australians of Italian heritage with legal issues in Italy, and Australian businesses dealing with Italy through his association with Milan law firm, Studio Legale Panarese. O’Loughlins Lawyers and Studio Legale Panarese have recently formed an alliance to offer legal assistance to people wishing to transact business in Italy. O'Loughlins Lawyers is a proud South Australian firm with strong ties to the local legal community.  We are happy to accept briefs from regional, interstate and international law firms and debt collection agencies to act on their behalf with the South Australian jurisdiction. Alf Macolino is a Notary Public. A Notary Public is an experienced lawyer appointed by the Supreme Court of South Australia to perform Notarial acts. Those acts are then accepted by Courts, Governments and other authorities throughout the world as valid. Notaries greatly assist the flow of commercial transactions in a global environment. Alf charges at the same hourly rate as a partner for notarial work. Work is only commenced after Alf briefly reviews the documents for free and provides you with a fee estimate of what it will cost and you agree to the fee estimate.